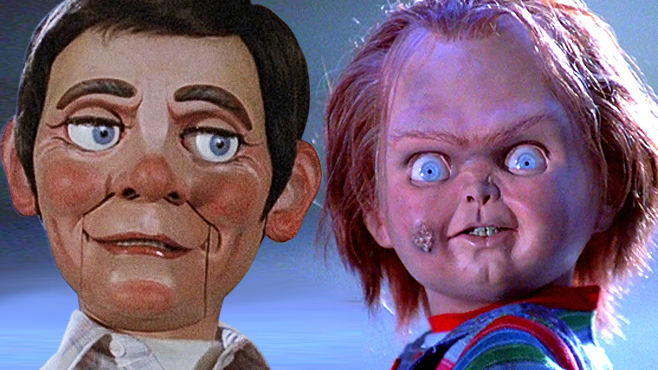 One year ago, CraveOnline brought you The Chucky Files, a six-part video retrospective of the Child’s Play movies, featuring interviews with the series’ creator, Don Mancini. Now, we’re back with a very special follow-up: an exclusive, free downloadable commentary track to Magic, the killer doll movie that helped inspire the creation of Chucky, courtesy of The B-Movies Podcast. The 1978 classic Magic stars Sir Anthony Hopkins as a ventriloquist whose dummy has a mind of its own, and a serious murder streak. Ann Margaret and Burgess Meredith co-star in this creepy classic, directed by the late Lord Richard Attenborough (Gandhi). It’s one of Anthony Hopkins’ early breakout roles, and among the first in the modern era of killer doll horror movies that led to Child’s Play. Don’t own Magic on DVD or Blu-ray? Watch it on Amazon Instant Streaming. Don Mancini and host William Bibbiani argue the merits of Magic, a film with exceptional performances but some perhaps questionable filmmaking choices and debate whether the doll is magical or just an extension of Anthony Hopkins’ id. They compare magic to the works of Alfred Hitchcock, the screenplay to the book, and Anthony Hopkins’ early “psycho” performance to his later performances as Hannibal Lecter in The Silence of the Lambs and Red Dragon. We hope you enjoy this exclusive B-Movies Podcast commentary track for Magic, featuring special guest Don Mancini. Follow us on Twitter at @BMoviesPodcast, @WilliamBibbiani and @RealDonMancini, and subscribe to the show on iTunes for weekly movie news and reviews, regular exclusive interviews and more free downloadable commentary tracks for films like Taken, Star Trek Into Darkness, Event Horizon and Step Up 3D.